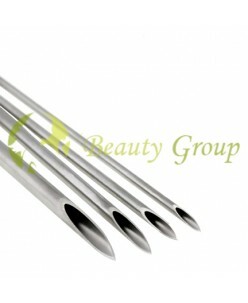 Piercing needle (5 pc.) E.O. Gas sterilized. 20G 0.8mm 18G 1.0mm 16G 1.2mm 15G 1.4mm 14G 1.6mm 13G 1.8mm 12G 2.0mm 10G 2.5mm 8G 3.2mm 6G 4.0mm ..
Sterilized I.V. 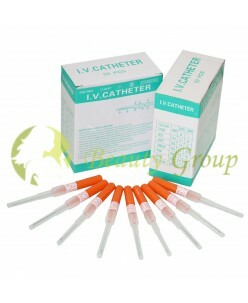 Catheter Piercing Needle (1pc.) Brand new & sealed Super sharp Professional quality needle Individually packaged Pre-sterilised and ready to use Sterilized by e.o.gas, enclosed in a individual envelope High Quality needle catheter with a small tube,removed to facilitate the process of needle puntur..